Disney, Marvel, Paramount, Universal, 20th Century Fox, Hulu, and CBS have all released new Super Bowl TV spots for several of their upcoming titles. 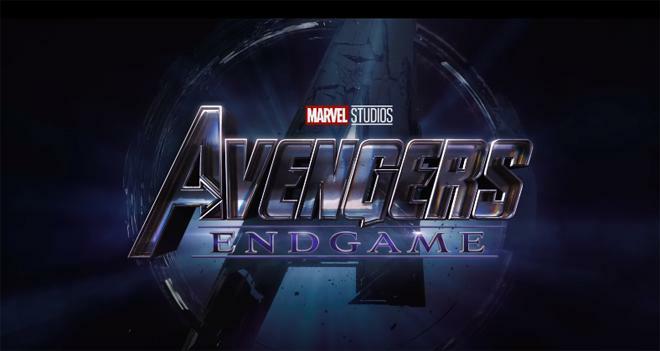 Avengers: Endgame - A culmination of 22 interconnected films, the fourth installment of the Avengers saga will draw audiences to witness the turning point of this epic journey. Our beloved heroes will truly understand how fragile this reality is and the sacrifices that must be made to uphold it. The movie comes from directors Anthony and Joe Russo with a script by Christopher Markus & Stephen McFeely. Captain Marvel - Carol Danvers becomes one of the universe's most powerful heroes when Earth is caught in the middle of a galactic war between two alien races. The movie comes from directors Anna Boden and Ryan Fleck and is based on the Marvel Comics character created by Roy Thomas and Gene Colan. Starring Brie Larson, Samuel L. Jackson, Clark Gregg, Ben Mendelsohn, Jude Law, Djimon Hounsou, and Lee Pace. Toy Story 4 - Woody has always been confident about his place in the world and that his priority is taking care of his kid, whether that’s Andy or Bonnie. But when Bonnie adds a reluctant new toy called “Forky” to her room, a road trip adventure alongside old and new friends will show Woody how big the world can be for a toy. Us - Set in present day along the iconic Northern California coastline, Us, from Monkeypaw Productions, stars Oscar winner Lupita Nyong’o as Adelaide Wilson, a woman returning to her beachside childhood home with her husband, Gabe, and their two children for an idyllic summer getaway. Haunted by an unexplainable and unresolved trauma from her past and compounded by a string of eerie coincidences, Adelaide feels her paranoia elevate to high-alert as she grows increasingly certain that something bad is going to befall her family. After spending a tense beach day with their friends, the Tylers, Adelaide and her family return to their vacation home. When darkness falls, the Wilsons discover the silhouette of four figures holding hands as they stand in the driveway. Us pits an endearing American family against a terrifying and uncanny opponent: doppelgängers of themselves. Alita: Battle Angel - From visionary filmmakers James Cameron (Avatar) and Robert Rodriguez (Sin City), comes Alita: Battle Angel, an epic adventure of hope and empowerment. When Alita (Rosa Salazar) awakens with no memory of who she is in a future world she does not recognize, she is taken in by Ido (Christoph Waltz), a compassionate doctor who realizes that somewhere in this abandoned cyborg shell is the heart and soul of a young woman with an extraordinary past. As Alita learns to navigate her new life and the treacherous streets of Iron City, Ido tries to shield her from her mysterious history while her street-smart new friend Hugo (Keean Johnson) offers instead to help trigger her memories. But it is only when the deadly and corrupt forces that run the city come after Alita that she discovers a clue to her past – she has unique fighting abilities that those in power will stop at nothing to control. If she can stay out of their grasp, she could be the key to saving her friends, her family and the world she’s grown to love. Scary Stories to Tell in the Dark - Inspired by one of the most terrifying children’s book series of all time, Scary Stories to Tell in the Dark follows a group of young teens who must solve the mystery surrounding sudden and macabre deaths in their small town. Directed by André Øvredal and produced by Guillermo del Toro (The Shape of Water). Starring Zoe Margaret Colletti, Michael Garza, and Austin Zajur. Fast & Furious Presents: Hobbs & Shaw - Ever since hulking lawman Hobbs (Dwayne Johnson), a loyal agent of America's Diplomatic Security Service, and lawless outcast Shaw (Jason Statham), a former British military elite operative, first faced off in 2015's Furious 7, the duo have swapped smack talk and body blows as they've tried to take each other down. But when cyber-genetically enhanced anarchist Brixton (Idris Elba) gains control of an insidious bio-threat that could alter humanity forever — and bests a brilliant and fearless rogue MI6 agent (Vanessa Kirby), who just happens to be Shaw's sister — these two sworn enemies will have to partner up to bring down the only guy who might be badder than themselves. Wonder Park - Tells the story of a magnificent amusement park where the imagination of a wildly creative girl named June comes alive. Starring Brianna Denski, Jennifer Garner, Ken Hudson Campbell, Kenan Thompson, Mila Kunis, John Oliver, Ken Jeong, and Matthew Broderick. The Handmaid's Tale: Season 3 - Adapted from the classic novel by Margaret Atwood, The Handmaid's Tale is the story of life in the dystopia of Gilead, a totalitarian society in what was formerly the United States. Facing environmental disasters and a plunging birthrate, Gilead is ruled by a twisted fundamentalism in its militarized ‘return to traditional values'. As one of the few remaining fertile women, Offred (Elisabeth Moss) is a Handmaid in the Commander’s household, one of the caste of women forced into sexual servitude as a last desperate attempt to repopulate the world. In this terrifying society, Offred must navigate between Commanders, their cruel Wives, domestic Marthas, and her fellow Handmaids – where anyone could be a spy for Gilead – all with one goal: to survive and find the daughter that was taken from her. The Twilight Zone - Next stop ahead The Twilight Zone. CBS All Access' upcoming reimagining of the original series, which premiered in 1959, will debut on April 1, 2019. Jordan Peele will serve as host and narrator of the new series, a role made famous by creator Rod Serling, who used socially conscious storytelling to explore the human condition and culture of the times.